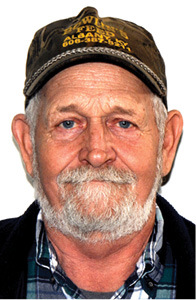 Gary Ferguson is one of three incoming members that make up the current Clinton County Fiscal Court and, although serving in his first elected office at age 70, is the eldest member of the court. Ferguson, the son of Gordon Ferguson and Lucy Smith, is serving in the seat formerly occupied by the current judge/executive Ricky Craig, serving the fourth district which is comprised of the Highway and Neathery Cave Springs precincts. Ferguson was born in 1948 in the Brown’s Crossroads community where he still resides and has spent about 90 percent of his life as a Clinton resident. The new magistrate, who was elected from one of eight candidates in last year’s primary, is no stranger to hard work and has held various jobs. Ferguson said he started out doing farm work but also began working in mechanics with his uncle at age 10. He has also worked in the oil fields, as a mechanic at Polston-Perdue Chevrolet as a mechanic and worked with Gator Oil Company for about 10 years. “I have been here most of my life and I would like to see the county improve,” said Ferguson when asking his primary reason for seeking a seat on the fiscal court. “I would like to see the county grow and prosper and be a place where young people could work and raise their kids,” Ferguson said. Ferguson said he definitely felt the county needed more and new industry and more recreational opportunities and would like to see projects developed for younger people to be involved in. Ferguson also said the people of the county need to uphold and help fund the local recreation park and would like to see the park expanded if at all possible. “I know what it’s like to work, and that needs to be instilled in people…they may not always like their first job,” he added. “I had a lot of people ask me to run for magistrate before this last election,” said Ferguson. Ferguson has been married to Sandy Clark Ferguson for the past 33 years and he has a total of five children, as well as three grandchildren and five great-grandchildren. Ferguson concluded by saying thank you to the people in the fourth district who trusted him enough to vote for him and asked that all people in the county join together to help Clinton County better an even better place to live.